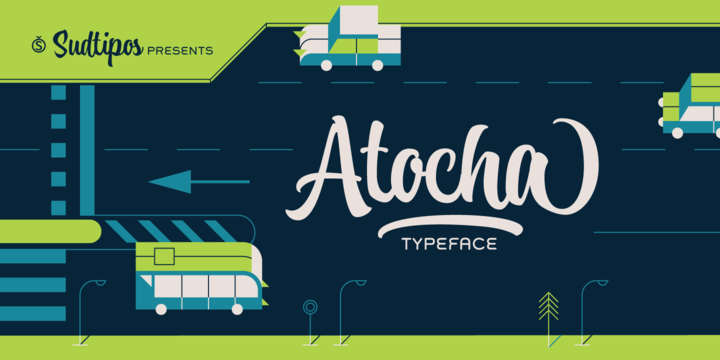 Atocha is a curvy handwriting script font inspired by Madrid, Spain and designed by Joluvian, Alejandro Paul and published by Sudtipos, an Argentinian design collective specialized as type foundry. Featuring a dynamic hand calligraphy, Atocha is both versatile and user-friendly that is handy in today’s needs of application design. Touch Atocha! A font description published on Tuesday, March 29th, 2016 in Alejandro Paul, Fonts, Joluvian, Sudtipos by Andrei that has 3,850 views.